Southeastern Equipment has the new and reconditioned Tennant floor-cleaning equipment you've been searching for. The Tennant Company is a world leader in creating solutions that help create cleaner environments and a healthier world. Tennant owns the Nobles brand and many Nobles machines are built and designed identical to their Tennant Counterparts. Tennant exclusively distributes the I-Mop in the US and it is revolutionizing the cleaning of areas previously relegated to the mop and bucket. Tennant recently purchased the IPC Group and now has annual revenue exceeding $1 Billion. Tennant Produced its first motorized floor cleaning machine in 1932. First walk behind scrubber was introduced in 1978, the first rider 8 years earlier in 1970. 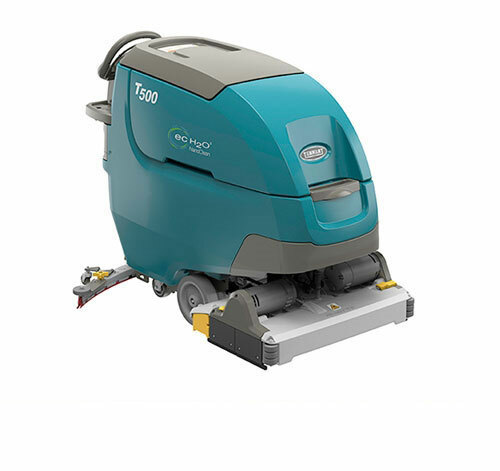 Tennant machines can clean hard floors effectively without any detergent when their ec-H2O technology is used. It is estimated hat Tennant holds 60% of the US marketshare and 1/3 worldwide. Tennant's founder, George Henry, was an Irish immigrant. The first machine Tennant made that was for dry cleaning hardwood floors, was conceptualized by a junior high school janitor named Ben Casper. This was all the way back in 1932. Up until Roger Hale's retirement in 1999, Tennant was led by descendants of the founder. All Nobles, Green Machine, Orbio, and Alfa brands are Tennant products. Whether you're searching for a specific Nobles floor scrubber or you just need a new floor scrubber that's guaranteed to get the job done, there's no better option than a new or reconditioned Tennant floor scrubber from Southeastern Equipment. We keep our prices low and inspect and test all our used Tennant floor machines to ensure they perform like new. 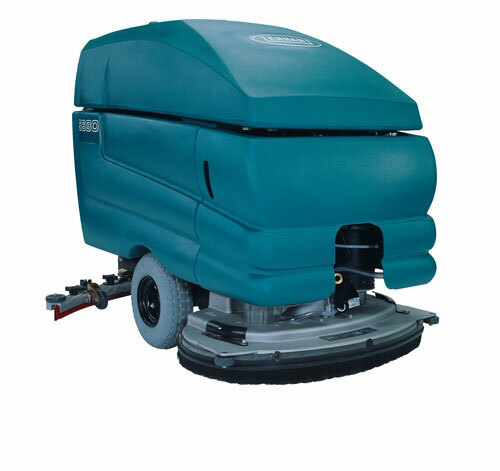 We are proud to be the leading supplier of quality Tennant scrubbers and sweepers. Browse our complete selection and order your Tennant floor machine today, or reach out to us if you have any questions at 800-440-6723. We'd be happy to help. Platinum Tennant Dealer for the past 5 years. Used machines restored to their original splendor by our factory-trained technicians. Read more of our reconditioning process here. Search for the parts manual for your machine in our database. Found the part number? Search our website for the part and purchase. We have over 100,000 Tennant parts listed on our site. Can't find your parts manual or part? We are here to help. Call us at 800-440-6723 or send us a message and we'll take care of you.